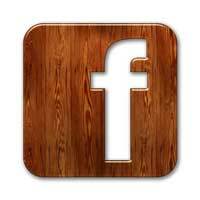 please take a moment to add OceansideCustomerCare@ci.oceanside.ca.us to your e-mail Address Book or Safe List. Sign up for this and other e-publications through the City website. 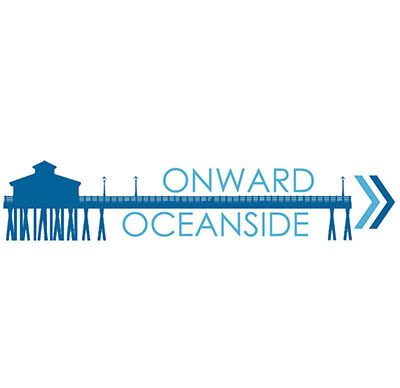 Oceanside Crime Down for Third Straight Year - At the conclusion of 2018, the City of Oceanside realized a 5.8% reduction in overall crime, compared to the same criteria in 2017. Over the three year period, the City has seen an overall reduction of crime by 15%. The Oceanside Police Department continues to use the work of the Crime Analysis Detail to focus resources on current crime trends. 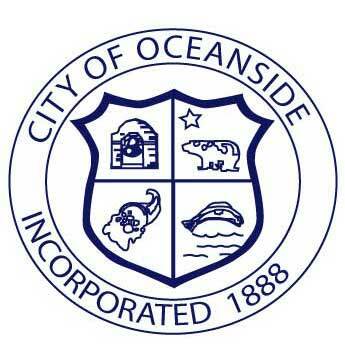 City Councilmember Appointed - The Oceanside City Council voted unanimously in January 2019 to appoint Ryan Keim as Council member to complete the last two years of a Council seat vacated as a result of the transition to district elections. In 2004, Ryan Keim served on the Police and Fire Commission until he joined the Oceanside Police Department in 2006. 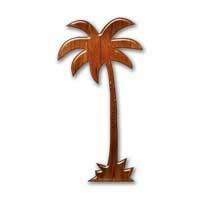 Most recently, Mr. Keim worked for the San Diego County Sheriff’s Department as the Media Relations Director. He has been a resident of Oceanside for over 30 years. City Council Meetings - The public is welcome for all City Council meetings at 300 N. Coast Highway. The next meeting dates are February 6 and February 27. City Council meetings are also shown live on KOCT on two Wednesdays of each month and replayed throughout the week. Check the agenda and minutes to read about the issues the City Council is addressing. 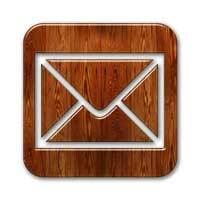 Sign up to receive meeting agendas and minutes via email here. General Plan Update - On Monday, March 4, Oceanside's Planning Division will host the second community workshop at 5:30 p.m. in the City Council Chambers on the Draft Energy and Climate Action Element (ECAP) and Draft Climate Action Plan (CAP). Along with the Draft Economic Development Element, these two documents comprise the first phase of the City’s comprehensive General Plan Update. Together, the ECAP and CAP outline a vision for a sustainable future that involves enhanced energy efficiency, greater access to clean and renewable energy, more mobility options, an expanded urban forest, local food sourcing, and less reliance on non renewable resources. Please join us to learn more about the ECAP and CAP and to share your ideas for building a sustainable community or provide emailed input to Principal Planner Russ Cunningham. 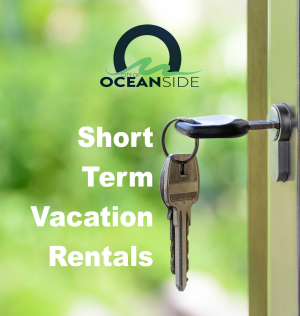 Short-Term Vacation Rentals - The third and final Ad Hoc Committee (AHC) meeting on potential Short-Term Rental regulations was held on January 29. The Committee reviewed the Permitting Options Matrix to finalize their recommendations. The matrix may soon tbe reviewed on the Planning Division’s webpage. The recommendations are scheduled for review by the Housing Commission (HC) on February 26 at 6:15 p.m., and by the Economic Development Commission (EDC) on March 12 at 3:00 p.m. Planning staff expects to present the AHC recommendations, HC and EDC comments, along with a staff recommendation to the Planning Commission on April 8 and to the City Council on May 22. 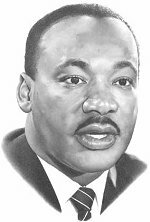 Martin Luther King, Jr. Community Service Award Recipient Announced - Ms. Cynthia Rice was named the 2019 recipient of the City's MLK Community Service Award at the annual commemoration celebration hosted by the North San Diego County Branch of the NAACP and the City of Oceanside. Ms. Rice mirrors Dr. King’s spirit of service and leadership. She is an exceptional leader and strong civic-minded ambassador for the Oceanside community. Oceanside Valentines Week - Oceanside is thinking outside the chocolate box and has a great lineup of unique advenures in store for you and your loved ones during Valentine's Week. This collaboration includes the "Sweetheart Market," Tango at the Museum, a Movie by the Pier, Harbor Cruise, South O Walkabout and more! 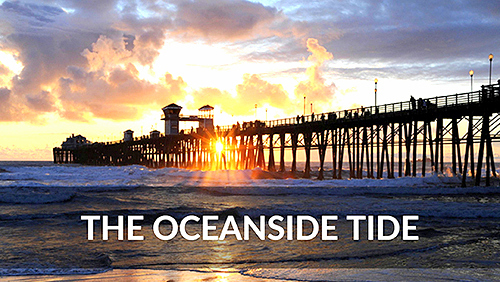 Economic Development News - Oceanside has a dynamic business climate with new restaurants, retail shops, and manufacturing businesses moving into the City. 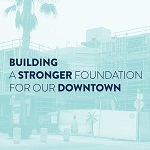 The City's Economic Development Division assists businesses with expansion and relocation to Oceanside by offering site searches, business visits, demographic and statistical information, and assistance with permit processing and business license issuance. 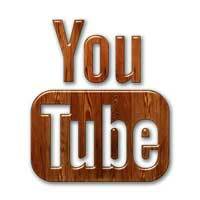 Check link above for the latest new and coming business news. 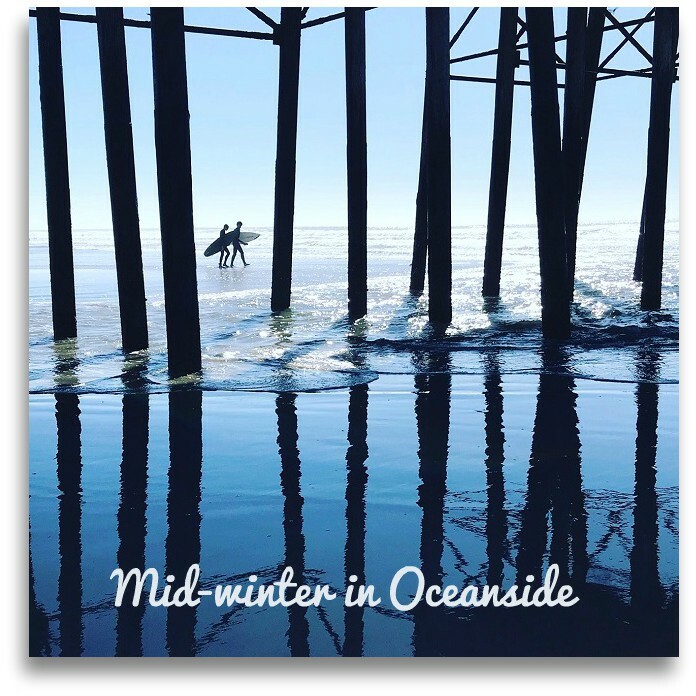 You may also like to review a presentation given to the Oceanside Tourism Council Jan. 30 on "What's new in 2019." Get the Free SD Alert Emergency App! Your family may not be together when disaster strikes, so it's important to plan in advance: how to contact one another, how to get back together, and what to do in different emergecy situations. 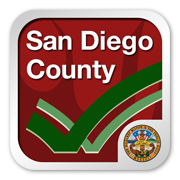 The SD Emergency App contains disaster preparedness information, interactive checklists to help you to create your emergency plan, build an emergency supply kit, and when an emergency occurs, the SD Emergency App will keep you and your family informed with emergency updates, interactive emergency maps, and shelter locations. Get this "must have" free emergency app for everyone in your family today. Black History Month Concert Feb. 9 - Free! Free Bicycle Traffic Skills Courses - Led by the League of American Bicyclists certified instructors, this free course holds valuable tools for new cyclists! The course covers safety tips, techniques, emergency maneuvers, using public transit with your bike, and more. You'll learn how to fix a flat and make adjustments to your bike. The course includes a classroom portion and a road portion. Free lunch provided! Registration required. 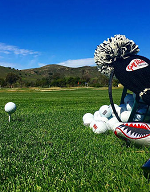 Tee up at the Oceanside Municipal Golf Course - The Oceanside Municipal Golf Course has special rates for Oceanside residents and features 18 holes open to all, with an all-grass driving range, a full service grill, and spectacular views! The course is located at 825 Douglas Drive and you can find the lowest rates by booking online. Neighborhood Watch Programs - Neighborhood Watch is a community action program where neighbors come together to resolve problems in their neighborhood by forming community relationships and working closely with the Oceanside Police Department. The Police Department serves as one of many community resources, and program success requires a sustained community effort where residents help prevent crime in their neighborhoods by working as a team. Would you like to start a Neighborhood Watch in your neighborhod? Contact the Oceanside Police Department Crime Prevention Unit at (760) 435-4440 for assistance and review this page for further information. 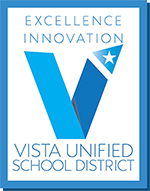 Vista Unified School District News - The Vista Unified School District includes students residing in Oceanside. Two new Trustees joined the VUSD School Board in December. New Officers were also elected. Learn more in the link above. LIFE at MiraCosta College - The MiraCosta LIFE (Learning is for Everyone) Program is organized for the seniors of North County, although all adults are welcome. LIFE meets at MiraCosta's Oceanside Campus on Friday afternoons for presentations and guest speakers on a wide range of fascinating topics. February topics include Wildlife Habitat, Essential Science, Trade Wars, and Leo Carrillo. March topics include Glenn Miller, International Women's Day, Astronomy, and Robotic Surgery. 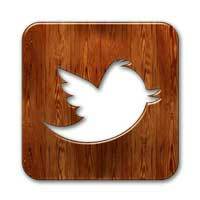 Connect with us for more news! 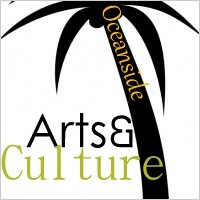 The City of Oceanside is not responsible for the content or accuracy of external websites provided in this newsletter. Please check with the organization to ensure accurate event information. 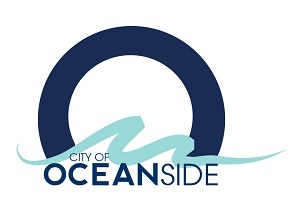 Event listings, information, and links are provided as a community service and do not indicate any endorsement by the City of Oceanside.